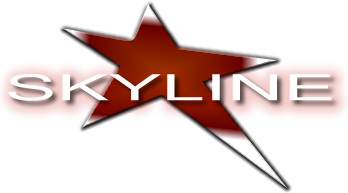 Sky Walkers - Cirque - Skyline Talent & Events - Exclusive representation for Cirque USA. A performance of excitement and beauty from beginning to end! 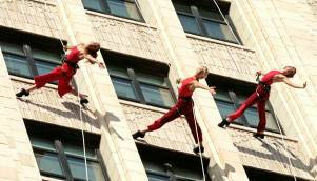 Our performers rappel down a building while gracefully exhibiting acrobatics and dance. 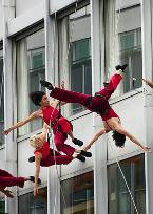 This act will keep the audience on the edge of their seats during every leap, lunge, flip, and twist. Requires Certified Aerial Rigger – 6 Minute Act 20 ft ceiling height required off of one rigging point that holds a shock load up to 1,000 lbs. Cast in Orlando & LA.